Amoeba Music’s Berkeley location is housed at the corner of Telegraph Avenue and Haste Street. Walls are lined with vinyl covers and artist posters. 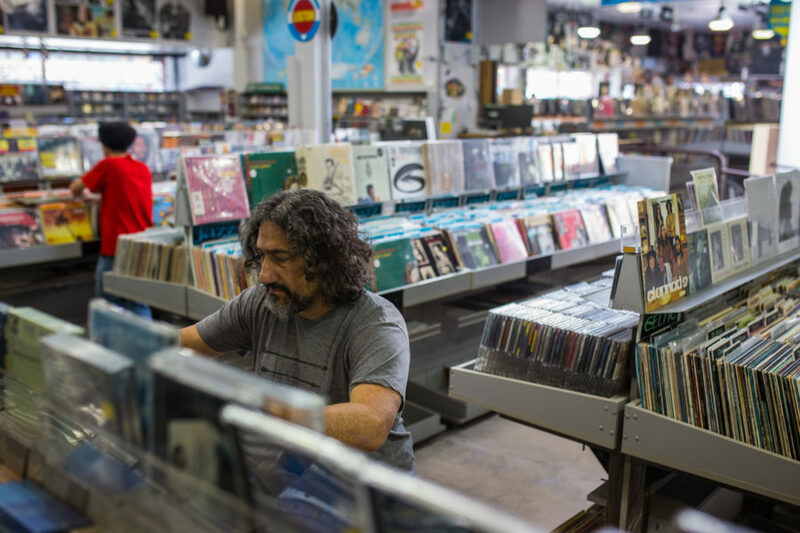 Kerry Boyd, who has been listening to vinyl since his youth, browses Amoeba Music’s collection. The store features a vast collection of cassettes. Classic and modern LPs line shelves around the store. Amoeba Music features a section dedicated entirely to experimental tracks. Lilly Wedbush, a UC Berkeley sophomore, and Kelly Blake, a Standford freshman, browse the CD section. Amoeba Music merchandise hangs behind the registers.